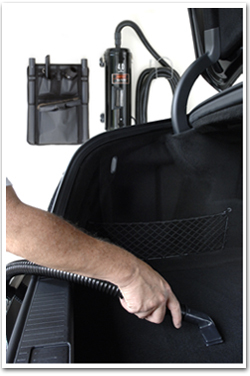 Dry larger vehicles easily with the Metro Full Size Vac N' Blo 4.0 HP Vacuum with 24 feet of flexible hose. 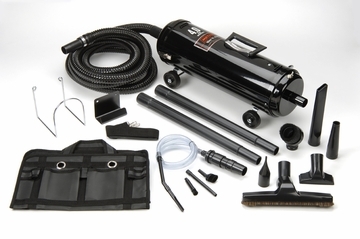 Whether you're vacuuming the inside of an SUV or blow-drying your motorcycle in the driveway, the Metro Full Size Vac N' Blo 4.0 HP Vacuum gives you the extra hose and extra power you need. 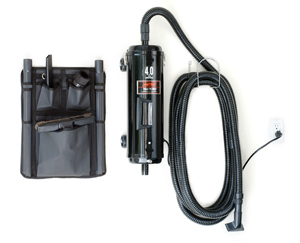 This convenient wall-mount car vacuum is a fantastic addition to a detailer's garage.